In this study, we assess the validity of an African-scale groundwater pollution model for nitrates. In a previous study, we identified a statistical continental-scale groundwater pollution model for nitrate. The model was identified using a pan-African meta-analysis of available nitrate groundwater pollution studies. The model was implemented in both Random Forest (RF) and multiple regression formats. For both approaches, we collected as predictors a comprehensive GIS database of 13 spatial attributes, related to land use, soil type, hydrogeology, topography, climatology, region typology, nitrogen fertiliser application rate, and population density. In this paper, we validate the continental-scale model of groundwater contamination by using a nitrate measurement dataset from three African countries. We discuss the issue of data availability, and quality and scale issues, as challenges in validation. Notwithstanding that the modelling procedure exhibited very good success using a continental-scale dataset (e.g. 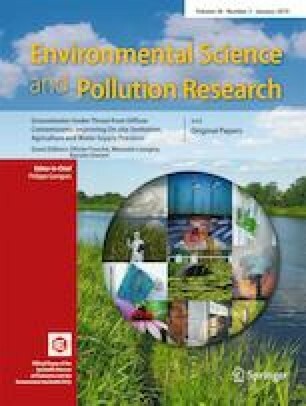 R2 = 0.97 in the RF format using a cross-validation approach), the continental-scale model could not be used without recalibration to predict nitrate pollution at the country scale using regional data. In addition, when recalibrating the model using country-scale datasets, the order of model exploratory factors changes. This suggests that the structure and the parameters of a statistical spatially distributed groundwater degradation model for the African continent are strongly scale dependent. This study was carried out within the framework of a doctoral research programme, and has been supported by the Islamic Development Bank (IDB) under the Merit Scholarship Programme (MSP) for theses and the ‘Fonds Spécial de Recherche’ (FSR) of the Université Catholique de Louvain. Several people from across the world helped with data acquisition, namely T. Gleeson (McGill University), N. Moosdorf (Hamburg University), and M. Cissé (DGPRE/Senegal). Bartram, J. and Ballance, R. [Eds] (1996). Water quality monitoring: a practical guide to the design and implementation of freshwater quality studies and monitoring programmes. Chapman and Hall, London. http://www.who.int/water_sanitation_health/resourcesquality/waterqualmonitor.pdf (Accessed online April 25th,2017). Breiman, L., (2001a). Random forests. Mach. Learn. 45, 5–32. Doi: https://doi.org/10.1023/A:1010933404324. (https://link.springer.com/content/pdf/10.1023%2FA%3A1010933404324.pdf. Acccesed online June, 21st 2016). Chapman, D. (1996). Water quality assessments—a guide to use of biota, sediments, and water in environmental monitoring—second edition. 1996, 651 pages published on behalf of WHO by F & FN Spon. http://www.who.int/water_sanitation_health/resourcesquality/watqualassess.pdf. (accessed online March18th 2017). Foster, S.; Garduño,H., Kemper, L., Tuinhof, A., Nanni, M., Dumars, C. (2003). Groundwater quality protection defining strategy and setting priorities. Briefing note 8.6pp. http://documents.worldbank.org/curated/en/434861468166483398/pdf/301000PAPER0BN8.pdf. Accessed online march 6th, 2017). Gross, E. L. (2008). Ground water susceptibility to elevated nitrate concentrations in South Middleton Township, Cumberland County, Pennsylvania. Master of Science. Shippensburg University. 117pp. http://www.ship.edu/uploadedfiles/ship/geo-ess/graduate/theses/gross_thesis_080505.pdf; accessed online July 6th, 2015). Liaw, A., Wiener, M., (2002). Classification and regression by random forest. Vol. 2/3, December 2002. http://www.bios.unc.edu/~dzeng/BIOS740/randomforest.pdf (accessed online April, 16th 2017). MacDonald, A. (2010). Groundwater, health, and livelihoods in Africa. British Geological Survey © NERC 2010 Earthwise 26, 2pp. ORAL PRESENTATION. http://nora.nerc.ac.uk/17329/1/29-30%5B1%5D.pdf (Accessed online January 28th 2016). UNEP (United Nations Environment Programme). (2010). Africa Water Atlas. Nairobi, UNEP, Division of Early Warning and Assessment (DEWA). http://na.unep.net/atlas/ africaWater/book.php. UNEP/DEWA, (2014). Sanitation and Groundwater Protection –a UNEP Perspective UNEP/DEWA, http://www.bgr.bund.de/EN/Themen/Wasser/Veranstaltungen/symp_sanitat-gwprotect/present_mmayi_pdf.pdf?__blob=publicationFile&v=2. 18pp (Accessed online August 14th 2014).